Being a common addition to most delicious meals across the globe is what makes kidney beans so popular. Their name comes from their close resemblance to kidneys, and their nutritional profile is linked to lowered rates of cancer and heart disease. Well, there are more to the beans than what most of us know. Which is why you need to read this post. How Are Kidney Beans Good For You? What Are The Benefits Of Kidney Beans? 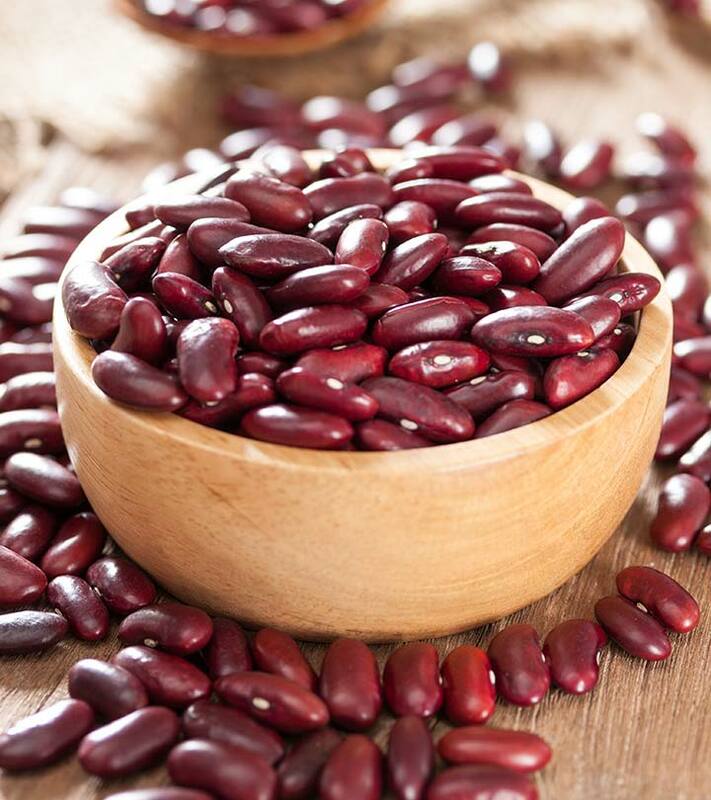 What Is The Nutritional Profile Of Kidney Beans? 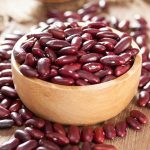 What Are The Side Effects Of Kidney Beans? The beans are rich in protein. They are some of the richest sources of plant protein, a nutrient that helps build muscle mass. And the fiber in the beans boosts digestive health and keeps serious ailments like colorectal cancer at bay. Kidney beans contain other essential nutrients like iron, copper, folate, and manganese, which maintain several vital bodily functions. That’s the brief. And now, we get to the details – how kidney beans can enrich your life in a wonderful way. According to the American Diabetes Association, beans, in general, can help regulate blood sugar levels – better than most other starchy foods (1). The protein in the beans also helps in this regard. Researchers have also found that pairing kidney beans with rice can stop unhealthy sugar spikes. The beans also contain what researchers call slow carbohydrates – which means the carbs break down and are slowly absorbed from the intestines – avoiding sudden sugar spikes. Beans also contain soluble and insoluble fibers, both of which prevent blood sugar spikes. The insoluble fiber helps lower the cholesterol levels as well. High cholesterol is another issue with diabetics. And thanks to the low glycemic index, kidney beans can be a good addition to the diabetes diet. Bean consumption, including kidney beans, has been found to cut the risk of heart disease (2). In other studies, kidney bean consumption led to lower levels of LDL cholesterol (bad cholesterol) and an increase in HDL cholesterol (good cholesterol) levels. The colonic fermentation of soluble fiber has been found to lower bad cholesterol levels – and the beans, being rich in fiber, can help accomplish this. Kidney beans are also rich in potassium, another important nutrient known to regulate blood pressure levels. Potassium supplementation is important as most processed foods that we consume are low in potassium – making us deficient in the mineral. Brazil is the largest producer of kidney beans (and beans, especially) in the world, while the United States is No. 6..
Kidney beans are outstanding sources of antioxidants that help combat cancer. And the fiber they contain, as we discussed, helps fight various forms of digestive cancers. Research has also linked high intake of flavonols to reduced risk of cancer. And since the beans have a high concentration of flavonols, they can be beneficial for cancer patients (3). According to the American Institute for Cancer Research, the lignans and saponins in kidney beans have the ability to fight cancer (4). The number one reason for this is the fiber in kidney beans. Scores of studies have shown how fiber can positively impact weight. Fiber keeps you full and also increases the thermic effect of the food (the energy it takes to break down food). Kidney beans are also a food source of protein, which is more filling than carbs and may aid weight loss too. Research has also gone into isolating alpha-amylase inhibitors from kidney bean extracts – these inhibitors help prevent starch absorption and breakdown, and can hence aid weight loss (5). In yet another study, a group of subjects on a tablet containing the bean extracts had seen a significant reduction in their body weight, body mass, and adipose tissues in a matter of 30 days (6). The calcium and magnesium in kidney beans can strengthen the bones and prevent osteoporosis. And the folate in the beans helps maintain joint health – thereby reducing the risk of bone diseases, including osteomalacia (the softening of bones) and osteoporosis. Some research also shows that kidney beans might be good for individuals with gout – due to their protein content (even though they contain moderate amounts of purines) (7). Kidney beans contain essential nutrients that help in the growth and development of babies. They are high in calcium and potassium, which are important for bone strength. They also contain protein, an essential building block for growth and development. The folate in kidney beans also plays a major role in the brain development of babies. As kidney beans are rich in carbs, they provide sustained energy for your training sessions. But ensure you have beans in your meals, and not immediately post workout. You want to take simple carbs post workouts, so beans may not be a great option. The beans also contain protein – a nutrient that offers all the essential amino acids to the body. Remember to also take high quality protein sources with BCAAs (branched chain amino acids) and 2.5 grams of leucine within at least 30 minutes post workout – these are especially effective for muscle building, something which kidney beans may not offer. Kidney beans are also calorie-dense, which can be a huge plus for bodybuilders. And the magnesium in the beans plays an important role in protein synthesis – the nutrient also helps in muscular contraction and relaxation. The best part about kidney beans is that they contain protein, fiber, iron, and antioxidants – all of which are quite essential, especially during pregnancy (8). Your blood volume increases during pregnancy, and this means you need more iron to produce more hemoglobin. And iron, along with folate, helps in the baby’s cognitive development. The fiber in kidney beans helps your pregnant digestive tract function properly. This is because, during this period, hormones can interact with the digestion process and lead to constipation. The optimum amount of fiber in kidney beans can help avoid this. The top 5 bean varieties grown in the US are – pinto beans, navy beans, black beans, kidney beans, and the Great Northern beans. That’s about the crucial benefits of kidney beans. And we already saw they contain some of the most important nutrients. But there are certain other nutrients too that make them what they are. That’s impressive, isn’t it? But this doesn’t mean the beans come with absolutely no side effects. There are certain things to keep in mind. Kidney beans contain hemagglutinin, an antibody that can cause red blood cells to clump. Excess amounts of this compound can lead to diarrhea, nausea, abdominal pain, and vomiting. However, the danger lies in the raw beans only as the substance becomes inactive upon cooking. The fiber in the beans can work both ways. Excess intake of the beans can lead to gas, diarrhea, and blocked intestines. Excess folate has also been linked to cancer. Studies have shown individuals taking 800 mcg of folate (the RDA is 400 mcg) per day showed an elevated risk of cancer. Though the iron in the beans is beneficial, excess of it can lead to heart and brain damage. We now know the more important reason kidney beans are so popular the world over – they can benefit your health in various ways. Red beans are slightly smaller and rounder than kidney beans, but otherwise, they are fairly similar. In fact, red beans can be a very good substitute for kidney beans. How to eat kidney beans? You can add kidney beans to your vegetable salad or evening soup. You can also add the beans to rice preparations. What are kidney beans called in other languages? Kidney beans are called rajma in Hindi and frijoles in Spanish. 1. “Grains and starchy vegetables”. American Diabetes Association. 2. “Non-soy legume consumption…” US National Library of Medicine. 3. “Dietary flavonoids and…”. US National Library of Medicine. 4. “AICR’s foods that fight cancer”. American Institute for Cancer Research. 5. “Medicinal plants traditionally used…”. 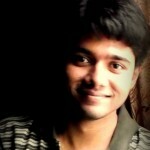 Wiley Online Library. 6. “A proprietary alpha-amylase…”. US National Library of Medicine. 7. “Gout diet: What’s allowed, what’s not”. Mayo Clinic. 8. “6 must-eat foods for pregnancy”. WebMD.